quality control and production environments, the C-ThermTCi Thermal Conductivity Analyzer requires no calibration or sample preparation. The system has broad testing capabilities (0 to 100 W/mK) across a wide range of temperatures (–50˚ to 200˚C). 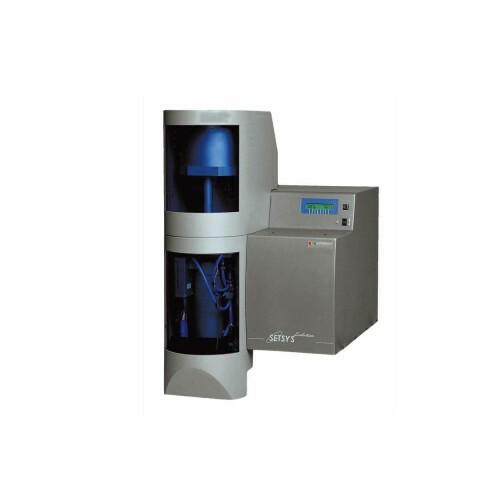 The TCi can be equipped with one or two sensors for increased capacity, and provides accurate thermal analysis of solids, liquids, powders and pastes in less time than any other instrument – less than 5 seconds. And because the procedure is non-destructive, samples remain intact, undisturbed and reusable after testing. The sensors offer users exceptional versatility in being able to operate in various environments, including thermal chambers, high pressure vessels and glove boxes. The C-Therm TCi is based on the modified transient plane source technique. It uses a one-sided, interfacial, heat reflectance sensor that applies a momentary, constant heat source to the sample. Both thermal conductivity and effusivity are measured directly and rapidly, providing a detailed overview of the thermal characteristics of the sample material. Sample material can be a solid, liquid, paste or powder. A known current is applied to the sensor’s heating element providing a small amount of heat. The heat provided results in a rise in temperature at the interface between the sensor and the sample – typically less than 2º C. This temperature rise at the interface induces a change in thevoltage drop of the sensor element. The rate of increase in the sensor voltage is used to determine the thermo-physical properties of the sample material. The thermo-physical properties of the sample material are inversely proportional to the rate of increase in the sensor voltage. The more thermally insulative the material is – the steeper the voltage rise.Results are displayed on the system’s laptop computer in real-time. The TCi offers users the flexibility to operate the sensor in various environmental enclosures (including thermal chambers and glove boxes). C-Therm recommends the Tenney Jr. 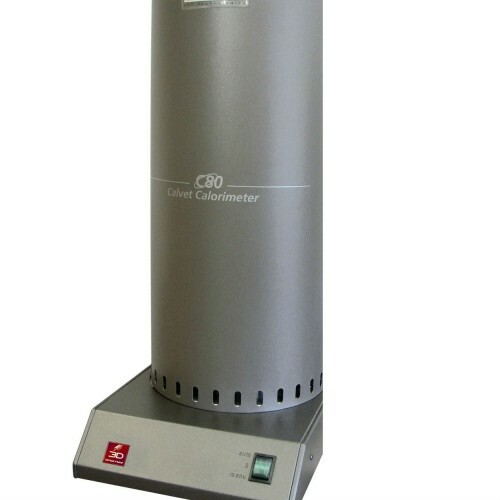 Thermal Chamber and offers the product as an available accessory with the TCi Thermal Conductivity Analyzer. The thermal chamber can be controlled through the TCi software. 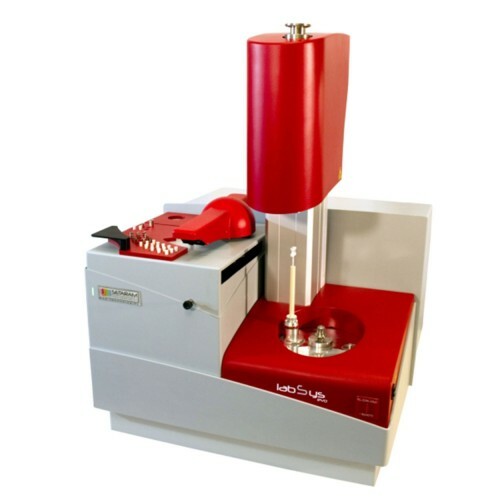 The Compression Test Accessory (CTA) is engineered and designed to enable users to precisely control the level of compression or compaction of a sample in characterizing the material’s thermal conductivity. 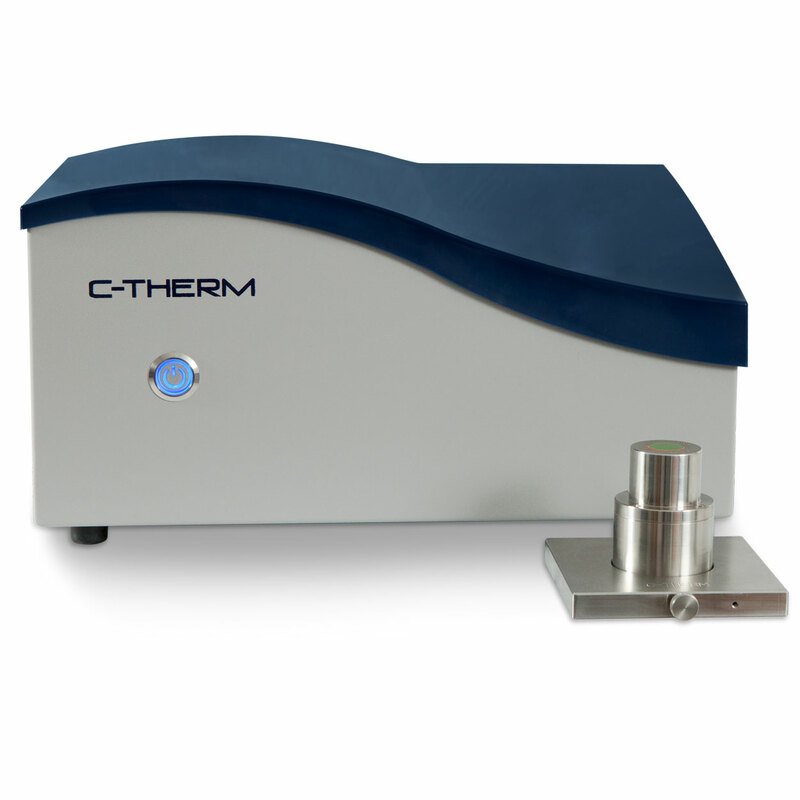 The CTA is ideal for applications in the fields of advanced textiles, fabrics and thermal interface materials (TIMs) where representative thermal conductivity data requires precise control over the sample’s compaction. The CTA is compatible with solids, pastes, greases and powder sample formats. Your perfect accessory for testing liquids. The Small-Volume Test Kit was originally developed with the US Navy Surface Warfare Division specifically for testing energetic emulsions and powders. 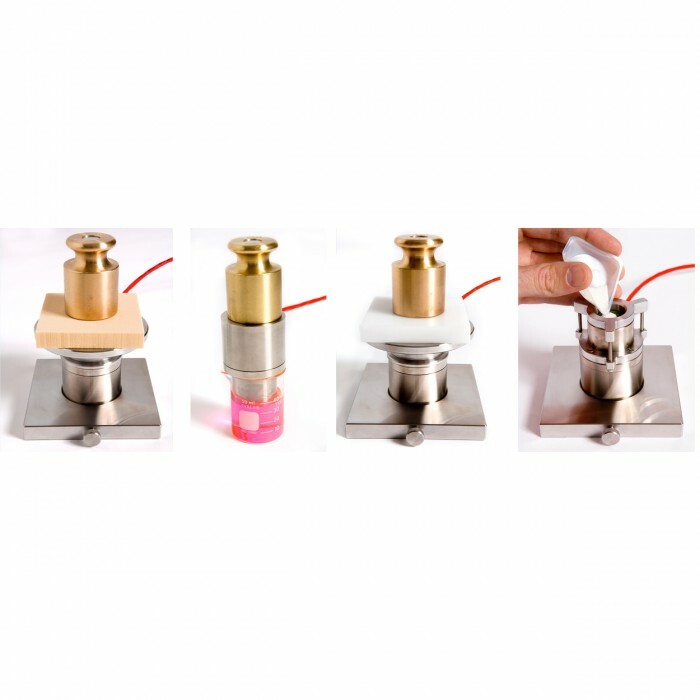 The effectiveness of the accessory in reducing convection effect on testing samples make it ideal for characterizing the thermal conductivity of liquid samples regardless of the viscosity. The SVTK is commonly applied in testing nano and heat transfer fluids, as well as emulsions. C-Therm offers a range of high pressure cells to safely characterize the thermal conductivity of samples under elevated pressure environments up to 2000 PSI (~138bar). C-Therm’s HPCs are popular with researchers in the Oil & Gas, Nuclear and Fuel Cell industries. PCMs – Tci permits high Thermal performance on composite PCMs to optimize building using radiant floor heating systems. Advanced textile materials – composition of textile materials affects directly to comfort and wetting properties. TCi determines fast and accurate data for quality control and verification. Nanomaterials, Petroleum, Thermoelectrics, photovoltaic, explosives, geological, heat transfer fluids, cement&concrete, insulation, metals, LED lightning.